And that lack of knowledge could be devastating for our planet's ecology. When we think about daring exploration, the first people who come to mind might be the intrepid astronauts aboard the International Space Station (ISS) or polymaths like Elon Musk who want to push humanity farther into space. However, another group is helping humanity investigate previously unexplored worlds right here on Earth, and their discoveries could have an even bigger impact on our future than that first Mars colony. Biologist Mike Vecchione is a member of the invertebrate zoology staff at the Smithsonian National Museum of Natural History, and his specific area of expertise is cephalopods, a group that includes octopuses and squids. His work has him exploring a part of the world many have never even heard of, let alone visited: the pelagic zone. That’s not for lack of effort, though. The deep sea is one of, if not the, most dangerous regions on our planet. While exploring it, researchers have to contend with intense atmospheric pressures, temperatures that can swing from near freezing to boiling hot, and intense darkness. Hypothermia, memory loss, and slowed brain functions are just a few of the health issues they face when diving deep. Thankfully, Vecchione thinks we’re on our way to overcoming many of these difficulties thanks to new technologies. 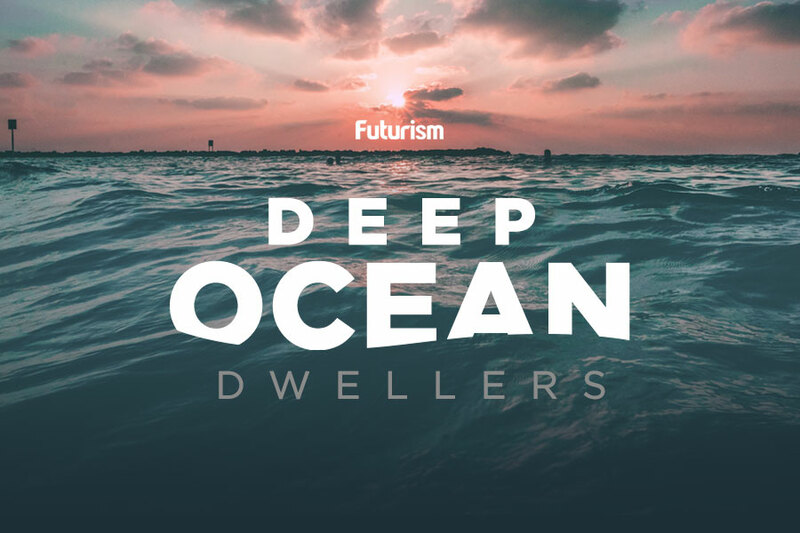 “There’s going to be increasing use of robotics and automated sampling, which will increase our understanding of the deep sea,” he predicts, and some are already enlisting the help of high-tech devices to explore the uninviting world beneath the ocean’s surface. In much the same way aerial drones help us explore the surface of our planet, remotely operated underwater vehicles (ROVs) are helping researchers explore the world’s oceans. The Trident, FathomOne, CCROV, and Blue Robotics’ BlueROV2 are just a few of these remarkable devices, which can provide HD video of areas hundreds of meters below the water’s surface. Some of the more advanced ROVs can go even deeper — the Nereus ROV was exploring an area 9,990 meters (6.2 miles) down at the time it was confirmed lost (likely due to overwhelming pressure). Stanford University’s OceanOne is a prime example of the kind of robotic technology that could eventually assist researchers who want more than just a view of what’s down below. The robotic diver is powered by artificial intelligence (AI) and a highly developed haptic feedback system that includes a pair of arms and hands. The ultimate goal is to have OceanOne be a virtual avatar for researchers, acting as their eyes and hands as they explore the world beneath the ocean’s surface while remaining safely above. Also working from the ocean’s surface to explore what lies beneath it is the Argo float system. Each of the nearly 4,000 floats in this global array can dive down to measure the temperature and salinity of the upper 2,000 meters (6,561 feet) of the ocean. It then returns to the surface to transmit these measurements to researchers and the public at large within hours, providing valuable data about our oceans that can be used to address global warming and other environmental concerns. Eventually, the plan is to extend Argo’s coverage all the way through the pelagic realm to the ocean’s bottom. Not only are these devices helping cut the cost of pelagic zone exploration and monitoring, they also eliminate much of the danger — few would dispute the fact that losing an ROV or float is highly preferable to losing a limb to an unfriendly local. Unfortunately, if nothing is done with the information intrepid researchers are able to gather about the pelagic zone using these devices, it will be of little consequence for our planet. Unlike the latest plans for Mars exploration, people tend to ignore research into the deep sea, and when the region does reach public consciousness, it’s for arguably trivial reasons, according to Vecchione. “The deep sea is far away and out of sight for most people, and so they don’t really understand that it is important to them and that they should recognize that importance. The general public doesn’t really understand its importance to global systems, including the climate, the cycling of oxygen and carbon, and so on,” says the biologist. “People get really excited about new species, but finding a new species is not a big deal at all. What is a big deal is that that it’s an indication that we really don’t understand the deep sea,” he adds. Vecchione hopes that new research will compel the public to take the pelagic region into consideration when choosing their leaders, as those are the people in the position to enact long-term efforts to protect it. “As an example of that, the United Nations right now is considering ways to protect biodiversity in areas that are not covered by national boundaries,” he notes.